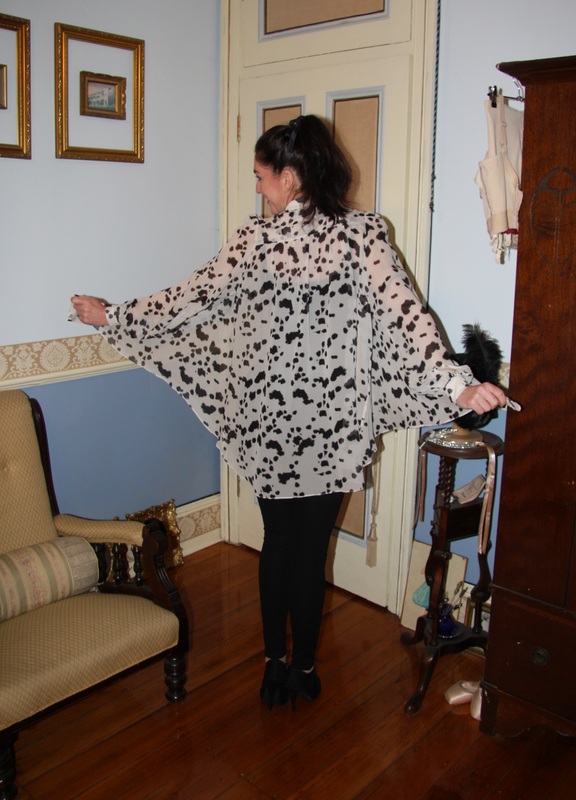 Outfit: Long sleeved kimono blouse in Dalmatian printed silk, featuring black velvet ribbon to collar, black cami, black fitted ski-style pants with metal zip to back. Hair: Worn in a ponytail with a black satin ribbon. Accessories: Black rose stud earrings. UH-OH….where’d you get that fur coat from?